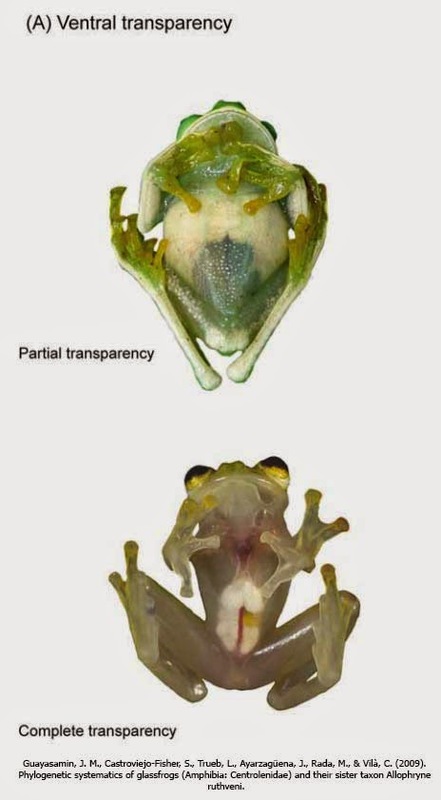 See through frogs + Is this the real hypnotoad? Centrolenidae is a family of frogs with about 10 known genera and 60 species, first found in the nineteen century but most species and genera have been described in the 21st century. 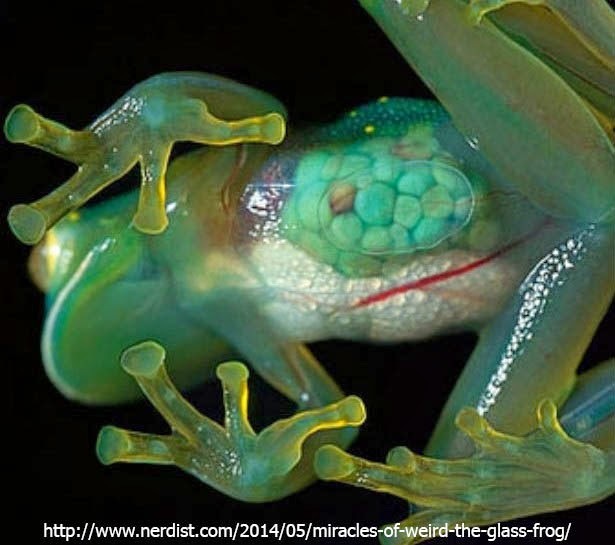 They are commonly known as glass frogs. The unusual thing about these fogs is that you can see through them. That's right, while most of them may be colored and dorsally opaque of translucent the ventral side is normally colorless and transparent. You can see their organs through the skin. In an unusual twist of evolution their skeleton is green in some species and can sometimes be seen from the outside. They are arboreal animals and only descend to the ground during breeding seasons. One particular strange looking species known as the ghost glass frog can change its color to match whatever leaf it is sitting on and has eyes which make it look like it is some kind of hypnotoad. 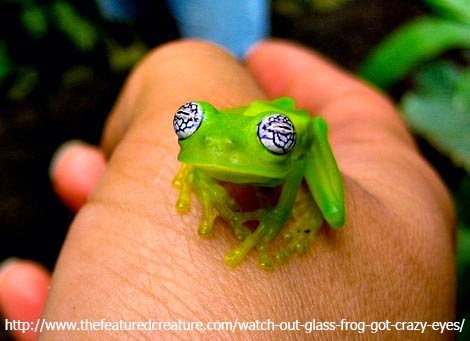 Glass frogs are found in Central and tropical South America.